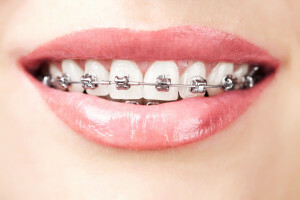 Metal braces are our most commonly worn brackets. They are made of high-grade stainless steel and can treat almost all malocclusions. In the past, metal braces were large and uncomfortable, but new advances in technology allow today’s metal braces to be smaller, more comfortable, more attractive and more effective. Contact us today to learn how our metal braces can help you enjoy a comfortable smile that will last a lifetime.